Reflexology is a holistic, non-invasive health modality based in the theory that there are zones and reflex areas on the feet, hands and ears that connect with all parts of the body. Rhythmic pressure applied with specific thumb, finger and hand techniques to the feet, hands and ears causes deep relaxation, which in turn helps reduce stress and causes physiological changes in the body. Reflexology promotes balance in the body naturally. You could schedule a session with an ORN reflexologist in your own city. Check our reflexologist listings by city at http://www.oregonreflexologynetwork.org/finda reflexologist. You could experience reflexology first hand and your session would provide an excellent opportunity to talk to someone who has training and experience in the field. Does Oregon Require a Reflexology License? Oregon changed its laws in 2008, separating reflexology from the jurisdiction of the Oregon Board of Massage. Reflexology became a stand alone form of bodywork. 687.031 Application of ORS 687.011 to 687.250, 687.895 and 687.991. (i) Practitioners of reflexology who do not claim expressly or implicitly to be massage therapists and who limit their work to the practice of reflexology through the application of pressure with the thumbs to reflex points on the feet, hands and ears for the purpose of bringing the body into balance, thereby promoting the well-being of clients. Does Washington Require a Reflexology License? As of July 1, 2013, anybody wishing to practice reflexology professionally in Washington State must go through the process of certification by the Washington State Department of Health. How Did ORN Get Started? 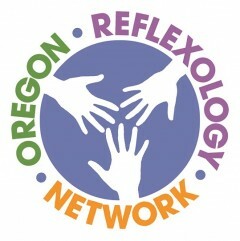 Because of a lack of reflexology guidelines in Oregon, a group of professional reflexologists created the Oregon Reflexology Network (ORN) in 2011. Why do I need 300 Hours of Training To Become A Professional Member? As an affiliate of RAA, ORN abides by their professional membership standards for reflexologists, requiring 300 hours of education since 2014. Anything less than 300 hours from recognized schools or workshops, qualifies a person for associate membership status in ORN. How Do I Get 300 Hours? Sixty percent (180 hours) of the 300-hours required for professional membership must be met in a live classroom with instructor interaction. The live hours must include training and supervised practicum in hands-on techniques, therapeutic communication skills and interpersonal and intrapersonal skills. Requirements are based on Reflexology education. There are many. Here is a brief list. Ingham, Eunice D. The Original Works of Eunice D. Ingham, Ingham Publishing, Inc.